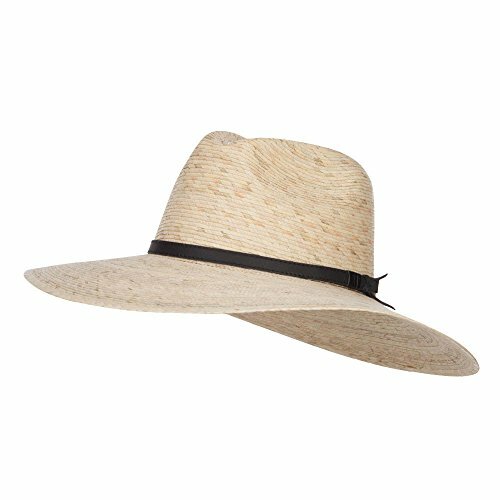 Large brim straw gambler hat for men.Tear-drop shaped top crown.Palm braid hat.3 small air vents are placed on each side.A black band is featured around the crown.Brim is flexible and side brim is slightly upturned.Our men's gambler hat is great for outdoor activities such as camping, fishing, hunting, horse riding and others.Spring and summer.14.5(W) X 14.5(L) X 4(H) inches.Stiff, cool and durable material.Available in different colors and styles. 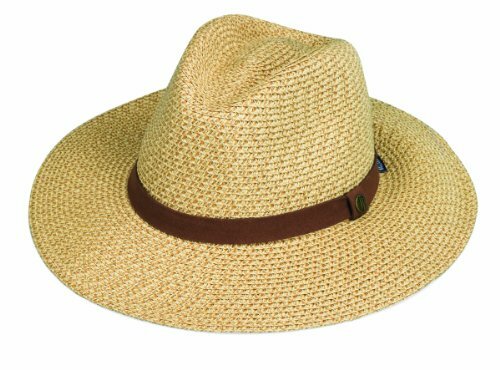 The perfect partner to a sun-drenched destinations both near and far, this comfortable, no-fuss brimmed sun hat features UPF 50 sun protection and a sweat-wicking head band, and it retains its shape after packing down into the corner of your carry-on bag. A faux-leather strap with a wooden bead delivers adjustable security for windy days on the water. 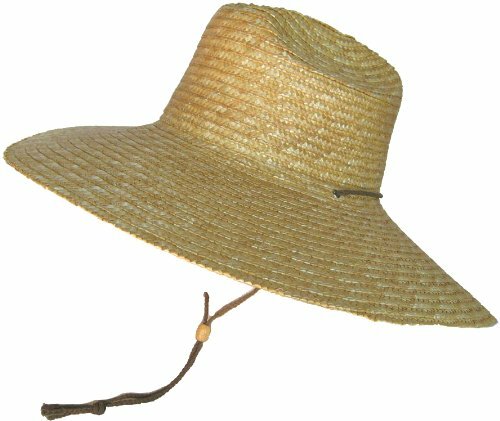 Classic sewn brain wide brim sun hat with chin cord. 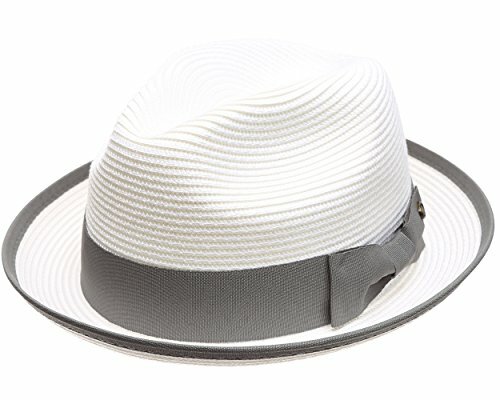 San Diego Hat Company Ribbon braid extra large floppy offers great sun protection with adjustable sizing and a 7 inch brim. Crushable construction ensures it stays shape no matter how you pack it. 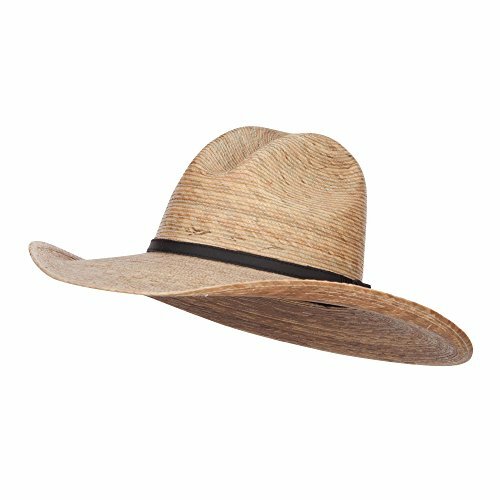 Large brim cowboy style safari hat for men.Slanted double hump crown.Palm braid hat.A black band is featured around the crown.Side brim is slightly upturned.Our men's cowboy safari hat is great for all outdoor activities under hot sun.Spring and summer.15(W) X 15(L) X 5(H) inches.Stiff, cool and durable material.Available in different colors and styles. If you are not a hat person, I recommend you become one especially on summer time ! Cant wait to use them this summer!Premium quality.No interior lining for comfort.Easy to remove and put back on feather arrangement. It will look great on women as well.Use it casually or for dress, this hat will go well with any outfit.Fedoras are available in a variety of styles and colors from our store. Large brim fedora crown safari hat for men.Crushed top crown.Palm braid hat.A black band is featured around the crown.Brim is flat.Our men's safari hat is great for outdoor activities such as camping, fishing, hunting, horse riding and others.Spring and summer.15.5(W) X 15.5(L) X 4.5(H) inches.Stiff, cool and durable material.Available in different colors and styles. 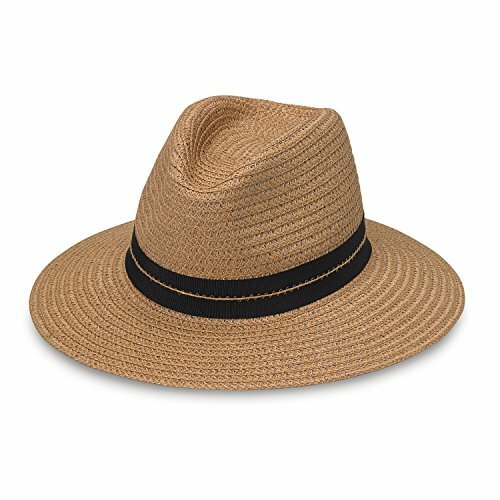 The Blake men's hat by Wallaroo Hat Company This men's hat is made for optimum sun protection out of lightweight and breathable yet sturdy 100% paper braid. 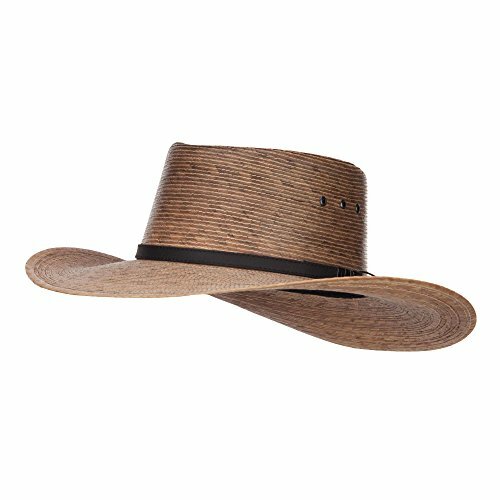 It is crafted with a subtle zig-zag stitching and a classic black ribbon detail at the base and has a sturdy 3.25-inch brim. The Blake is available in sizes M/L for up to 59cm, and L/XL for up to 61cm head circumference. You can also use the inner drawstring in the hat to customize your fit. It folds flat for packing into a suitcase or a tote and then bounces right back into shape again for wearing. This hat for men is the ultimate in portability due to its crushable nature. Avoiding direct contact with the sun is a key in avoiding skin cancer; the Blake offers plenty of shade. 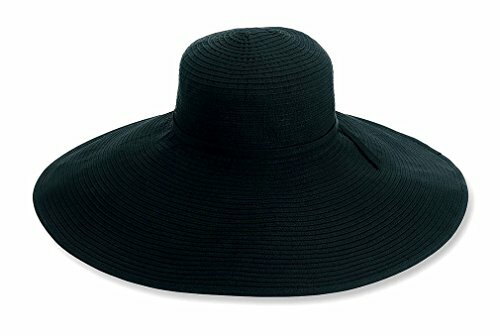 Wear the hat for skin protection, to keep cool, or just to look good! The Wallaroo Hat Company was started in sunny Boulder, Colorado, where its citizens seek handy sun protection. Since 1999, the company has been delighting customers and winning awards with their great looking hats with stellar sun protection. Remember, a hat is a handy type of sunscreen that you don't have to reapply. 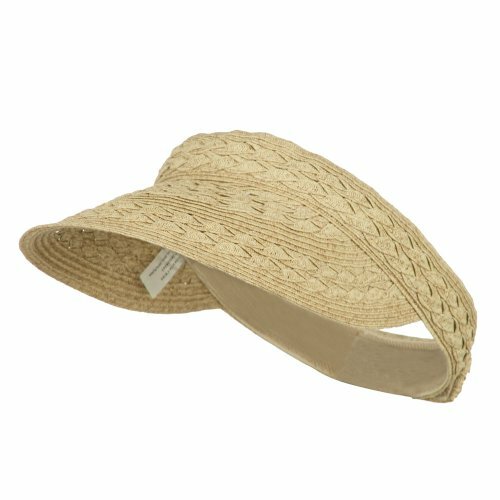 Solid in color, braided paper straw visor for ladies.Braid design on brim and crown.Crown is same width as the band all around.Bill is pre-curved and flexible.UPF 50+ excellent UV protection that blocks UVA and UVB.Only 1/50th of the sun's UV radiation can penetrate this fabric.Our adjustable solid strap back visor can be used for gardening sessions, outdoor events, and other purposes.All Season.Soft, thin and cool material.9 1/2 (W) X 10 (L) X 3 (H) inches.Available in different colors and styles. Looking for more Braid Xl Brim Hat similar ideas? Try to explore these searches: Pepcid Ac Maximum Strength, Buffalo Plaid Boot, and Shrimp Gumbo. Shopwion.com is the smartest way for comparison shopping: compare prices from most trusted leading online stores for best Braid Xl Brim Hat, Poly Cutlery Boxes, Trimmer Brushcutter Blades, Brim Xl Braid Hat . Don't miss this Braid Xl Brim Hat today, April 20, 2019 deals, updated daily.